Kerala is famous for its art, poets and musicians, its traditional dance forms, and its distinctive architecture. Craft workers in Kerala continue the ancient arts of woodcarving and wall-painting. For ages, the rich and vibrant culture of Kerala has intrigued people worldwide. The songs and dances of the people, their ballads, their rituals and their intellectual pursuits. 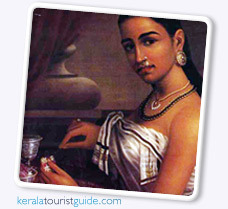 Truly, the real treasures of Kerala lay in the cultural heritage of its people. Kerala has its own typical art forms which reflect the life and outlook of the people. From the renowned Kathakali, considered to be the complete art form as its synthesises all that is best in the fields of drama, music and dance, to the folk dances which are reflections of the rhythmic impulses of a sensitive people. Classical dances are based fully or partly on the principles and techniques embodied in the ancient Hindu scriptures and technical texts on dance and allied arts. The earliest of these known scripts is Bharatha's Natya Shastra believed to have been written around the second century B.C. Most of the prevailing systems of classical dancing governed by elaborate techniques with a high degree of refinement have had their origin in the dances of the common people. The difference between classical dancing and folk dancing is mainly that there is a deliberate attempt at artistry in the former. Sophistication along the norms of the scriptures of advance theories on dance and dramaturgy are strictly adhered to. The concept of portraying emotion, the grace of the individual dances and the virtuosity of the isolated poses are all important in classical dances. Emphasis has been given to different aspects of the dance, namely pure bodily movement, aids to dance like theme, song, instrumental music, the expression of emotions, moods and sentiments, the dress, ornaments, makeup and the stage. Koothu, Koodiyatom, Patakom, Ashtapdiyatoom, Krishnanattom, Thullal, Mohiniyattom and Kathakali are the most important classical dances. Kerala has a rich verity of folk dances. They are highly developed and reflected and the temperaments and moods of the localities in music and costume. Nature silently and unobstrusively has moulded these dances just as the lives of people who dance them. Religious colouring is seen in almost all of these folk dances, even in those performed in connection with harvests, sowing of seeds, festivals etc., so much so that their secular nature is always at doubt. There is difficulty in classifying these dances as social, religious and martial. Many of these dances are performed by man alone, some exclusively by women. There are also dances in which men and women perform together. Most of folk dances are performed to the accompaniment of songs which are sung by the dancers themselves or occasionally by a group of musicians. Some dances performed to the accompaniment of musical instruments only. In several dances the performers form a circle and clap as they dances. Sometimes, instead of clapping they strike small sticks which they hold in their hands. The costumes and ornaments are peculiar to the places to which they belong. The eloquent, effortless ease which the dances are executed and the overwhelming buoyancy of sprit are wonderful. In this folk dances there is no difference between the performers and the audience. Almost all of these folk dances are simple but beneath this simplicity is a profundity of conception and directness of expression which are of high artistic order. There are more than fifty well known folk dances in kerala. Of them the Padayani, Kaliyattom, Mudiettu, Kolam thullal, Kolkali, Poorakkali, Valakali, Kamapadavukali, Kanniyarkali, Parichamuttukali, Thappukali, Kuravarkali and Thiruvathirakali are most popular. Kathakali, Folk Dances of Kerala Kerala owes its transnational fame to this nearly 300 years old classical dance form which combines facets of ballet, opera, masque and the pantomime. It is said to have evolved from other performing arts like Kootiyattam, Krishnanattam and Kalarippayattu. Kathakali explicates ideas and stories from the Indian epics and Puranas. A Christian art form of Kerala. Evolved at the turn of the 16th Century AD during the Portuguese colonization and bears definite traces of the European Christian Miracle Play. In this musical drama, the actors wear Greco-Roman costumes and even the stage props bear several foreign influences. A dance form essential to the wedding entertainment and festivities of the Malabar Muslims. Maidens and young female relatives sing and dance around the bride, clapping their hands.The songs of Mappilappattu, are first sung by the leader and are repeated by the chorus. A spectacle for both the scholar and the simple rustic. The visual effect is enhanced by varied and colourful facial make-up with larger-than-life-masks, made of light wood and cloth padding, for certain characters. The characters who do not wear masks have specific facial colours applied within the frame of a white chutti. Mohiniyattom, Folk Dances of Kerala Kakkarissi natakom is a satirical dance-drama based on the puranic legends of Lord Siva and his consort Parvati when they assumed human forms as Kakkalan and Kakkathi - a nomadic tribe of fortune tellers. The legend only serves as a skeletal framework for the play, which often turns into a subtle critique of contemporary society. Thiruvathirakali is a dance performed by women, in order to attain everlasting marital bliss, on Thiruvathira day in the Malayalam month of Dhanu (December- January). The dance is a celebration of marital fidelity and the female energy, for this is what brought Kamadeva (the god of love) back to life after he was reduced to ashes by the ire of Lord Siva. A folk art mainly of the agrarian classes, Kolkkali is a highly rhythmic dhey never miss a beat. In Malabar, Kolkkali is more popular among Muslim men. Thullal is a solo performance combining the dance and recitation of stories in verse. Staged during temple festivals, the performer explicates the verses through expressive gestures. The themes are based on mythology. This satiric art form was introduced in the18th century by the renowned poet Kunchan Nambiar . Kootiyattam literally means "acting together". This is the earliest classical dramatic art form of Kerala. Based on Sage Bharatha's 'Natyasasthra' who lived in the second century, Kootiyattam evolved in the 9th century AD. Kootiyattam is enacted inside the temple theatre, there are two or more characters onstage at the same time, with the Chakkiars providing the male cast and the Nangiars playing the female roles. The Nangiars beat the cymbals and recite verses in Sanskrit, while in the background Nambiars play the Mizhavu, a large copper drum. Duffmuttu is also known as Aravanamuttu. It is a group performance popular among the Muslims of Malabar. Duffmuttu is staged as a social event during festivals and nuptial ceremonies.